Did you ever wish you could have a sneak peek into the dark and mysterious places where hibernating animals retreat for the winter? You do see animals making preparations for winter—eating more, growing more luxurious fur, and gathering natural materials to line their dens—but there’s a lot more to know about animals’ many ways of surviving winter’s woes. It’s not simply a matter of getting fatter and furrier and hunkering down somewhere to sleep. Let’s take a look at some variations on that theme and the animals who use them. Black bears often dig a depression under the roots of a fallen tree for their winter den. If your food sources become slim or nonexistent in winter and you aren’t able to migrate to a place with ample food, hibernation is going to be your ticket to next spring. Inactivity enables animals to survive on a bare minimum of calories, and the degree of inactivity varies with size and other aspects of the species. Some animals go into a deep sleep from which they are not easily awakened, while others are in a lighter state of “torpor,” which may lift for periods, enabling them to eat some food stores in their den or even venture outside briefly to forage. Another term, “aestivation,” refers to significantly lowering body temperature to survive seasonal temperature extremes. Salamanders, crocodiles, and North American desert tortoises use this approach. “Brumation” refers to becoming inactive or in torpor without a lowered body temperature, as some amphibians and reptiles do. They may warm up enough to drink water, but will not eat again until the period of brumation is over. How about overwintering insects? They enter an arrested state of development called “diapause,” and don’t resume development until temperatures warm up. Many, but not all, moths take this approach to surviving winter. There are still other variations, too. As Bernd Heinrich says in his book entitled Winter World, “Rules are the sum of decisions made by individuals. They are a result. The chaos, and the art, of nature remains.” So, maybe rather than trying to pin down any sweeping generalizations about hibernation, simply enjoy the wonder of all the diversity. As the unofficial “poster animal” for hibernation, bears would probably like us to consider them first. Polar bears excavate a den in a snowdrift and hibernate for about six months. 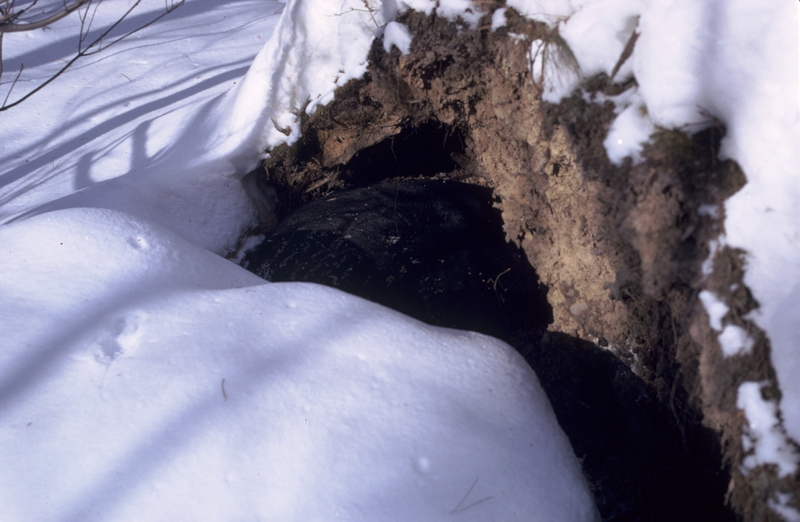 Grizzlies, a close relative, tunnel into a hillside and create a cavity at the end in which to sleep away the winter. Black bears may dig a depression under brush or the roots of a fallen tree, or they may use a hollow tree or a cave. They make the den cozier by gathering conifer twigs, cedar bark, grasses, and leaves. Yearling cubs learn to do this by helping their mother prepare the den that they’ll share with her for the winter. Fattening up in advance of hunkering down is mandatory, because they won’t forage again for about seven months. Their heart rate drops from a typical 50-90 beats per minute to only 8 beats per minute, and rapidly rises when it’s time to emerge in springtime. 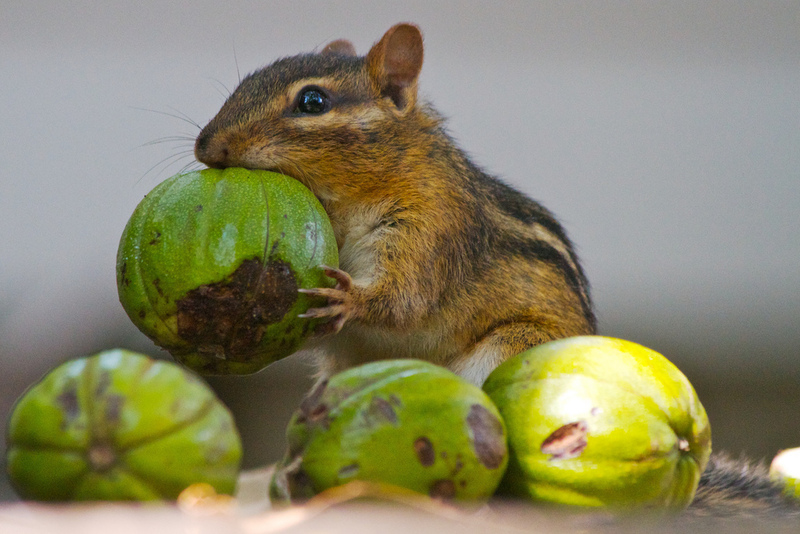 This little chippy scored big when he found these hickory nuts to add to his winter cache. Chipmunks are an interesting study in having your “cache” and eating it, too. They’ll store vast amounts of seed and mast in special chambers within their elaborate burrow systems, often far exceeding what they need. They awaken periodically from a state of torpor to eat some of their cached goodies. 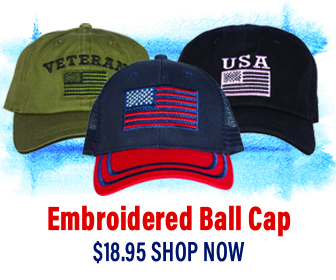 These periods of wakefulness are not just for grabbing more vittles to carry them through the winter. They’re also for reducing the time chipmunks are easy prey for weasels, who easily slither through chipmunk tunnels to find—and prey upon—deeply slumbering chipmunks. Only an awake chipmunk has any hope of escaping. Woodchucks make a serious effort to pack on weight in advance of their half year of hibernation. It’s sure not optional, because they’ll lose from a third to almost a half of their body weight during hibernation. Even with the extra fat, their metabolism has to change radically to conserve energy during hibernation. Their body temperature dips to 38 degrees F (from 96.8 degrees F), and they breathe only about six times per minute. 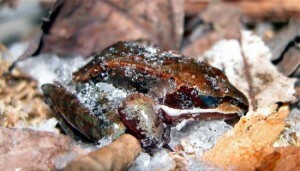 Ever wonder where frogs go when temperatures drop? Some bury themselves in mud and survive winter under the ice. Others stay above ground, but bury themselves in gatherings of leaves, becoming frozen solid through a chemical process that takes place within them. When temperatures warm up, the frogs’ internal chemical transformation does a 180. As the frogs unthaw life goes on as though the lengthy suspended animation never occurred. 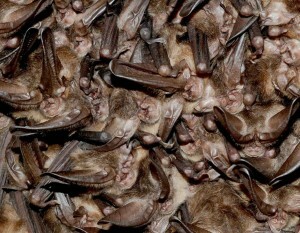 Virginia big-eared bats hibernate in tight clusters to help them maintain their body temperature. 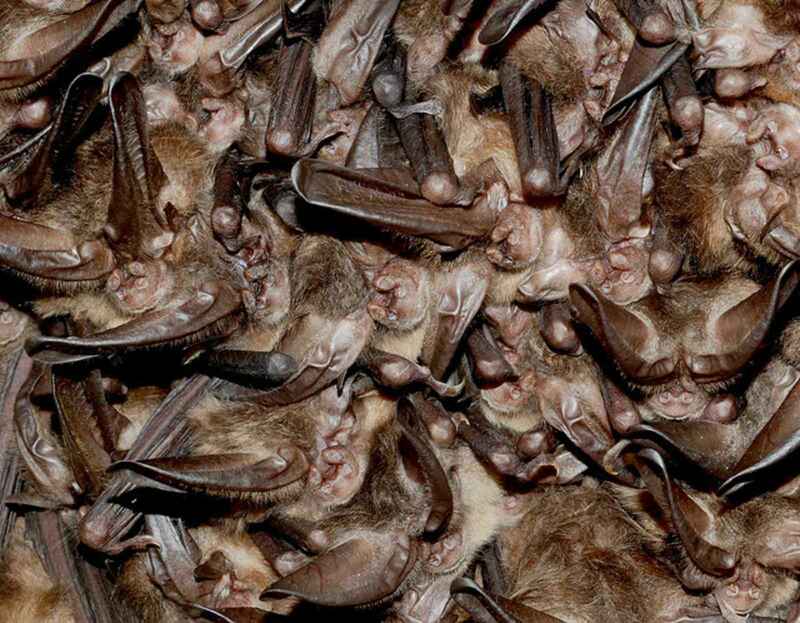 Some bats migrate, some hibernate, and some—like the little brown bat—do a little of both to survive the winter. Bats may hibernate for over six months, surviving on a few grams of fat stored in their bodies by lowering their body temperature and slowing their heart rate to only ten beats per minute. Hibernating bats may only weigh half as much in spring after those months without eating. Bats’ fuel for surviving the winter is minimal. Disturbing them during hibernation can be harmful, as they will burn fat they need to survive. Think about how grumpy you feel if you’re awoken from a good, deep sleep you really felt you needed. Sleep is essential to your wellbeing. Well, hibernation is a much bigger deal, far more crucial than an afternoon nap or a single night’s sleep. Interfering with it can easily become a genuine threat to an animal’s survival. So, leave in peace that woodchuck denning under your deck for the winter or the bats slumbering in your attic. They will cause you no trouble while occupying those spaces. Let springtime be the one to gently tell hibernating animals when it’s time to awaken and move along.